Fullish ruby. Sauvage and a touch medicinal. 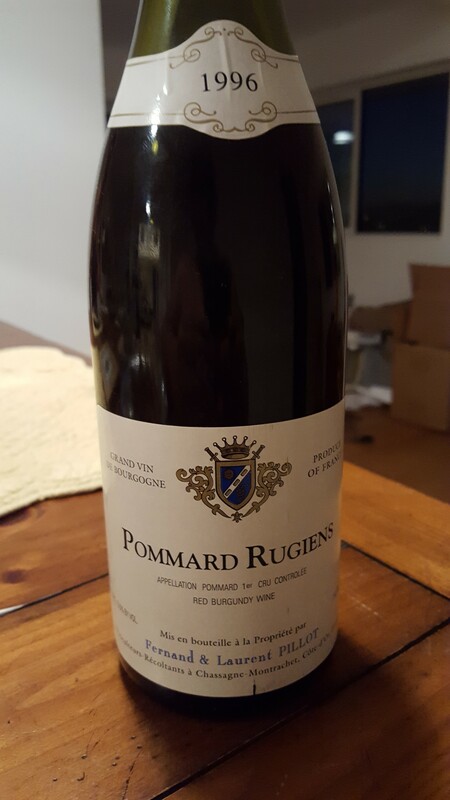 A lusty, very pure Rugiens fruit: mentholated cherry, herb, earth, raw meat. It tilts towards the resolute and architectural – lots of tangy (but not edgy) ’96 acidity and fine-grained, sandy tannin. But it’s not laid low by its structure: the quality of Rugiens is apparent. You can sense the distinction and breeding underneath the big-bones and still unresolved austerity. Racy and articulate at the end. Time will taper this further. Thirty-year Rugiens easily. 2016 – 2030+.